Not too long ago, the LG G3 Vigor went on sale on Sprint, but it seems it coming to more carriers in the coming days. 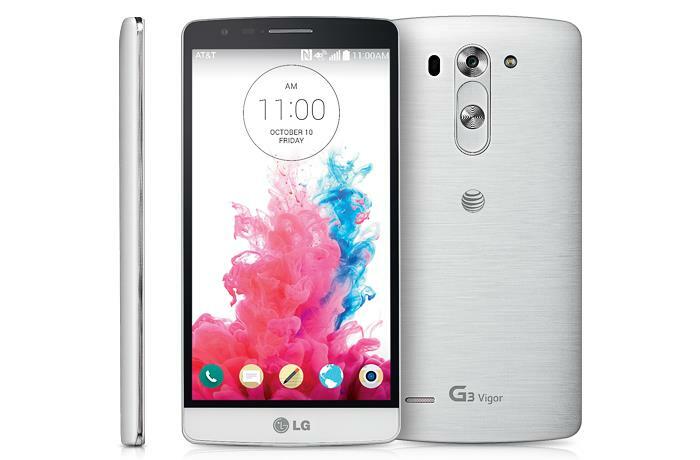 AT&T announced it will start selling the mid-range LG G3 Vigor on its network from September 26th. The handset will come with a $49.99 price tag tied to a two-year agreement with the carrier. Customers interested in purchasing the handset off-contract have to shell out $334.99. It’s also available on AT&T’s Next program, costing $13.96 a month with Next 18, and $16.75 a month with Next 12. The handset comes with a 5-inch 1280 by 720 display, and features a quad-core Snapdragon 400 SoC clocked at 1.2GHz with 1GB of RAM and 8GB of internal storage, coupled with a microSD card support of up to 32GB should you ever need more storage. There’s an 8MP camera on the back with laser auto focus, and a 1.3MP front-facing camera, a 2,540 mAh battery and runs Android 4.4.2 KitKat as its operating system. LG’s G3 Vigor measures 5.42 x 2.74 x 0.39-inch and weighs almost 133 grams. It’s not just the LG G3 Vigor, the metal-clad Samsung Galaxy Alpha is also set to hit the AT&T retail shelves on Friday.